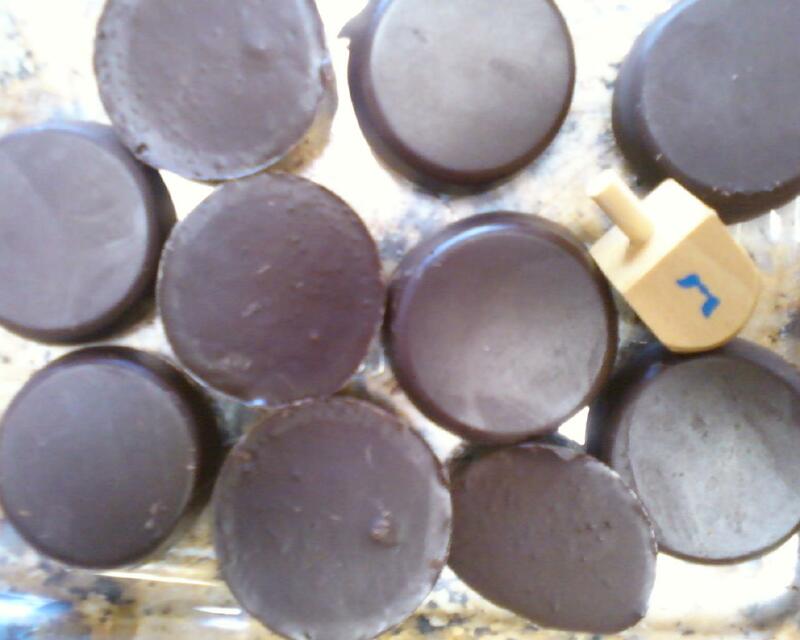 Most brands of Hanukkah gelt, the traditional foil-covered chocolate coins that are used to play games of Dreidel, are either non-vegan or are made with non-fair trade chocolate and yucky fillers. This Hanukkah, don’t settle for sub-par store-bought Hanukkah gelt! Make your own! 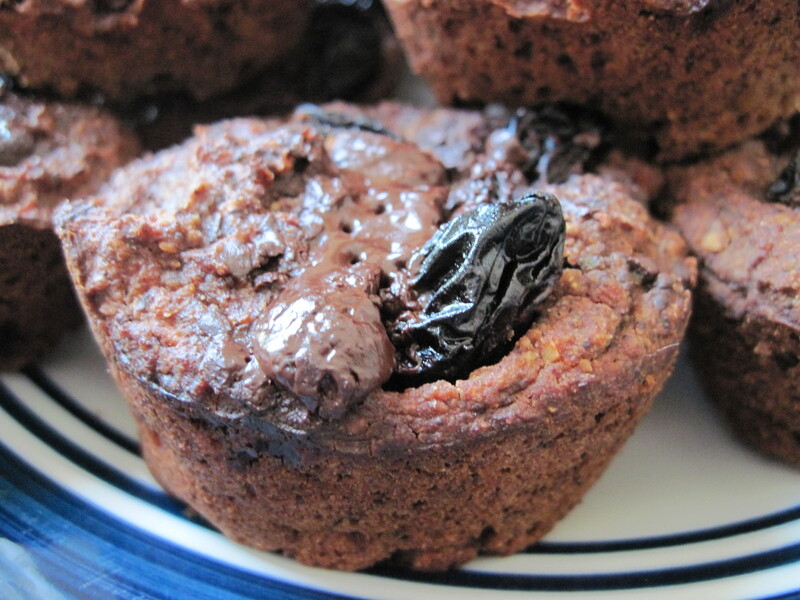 This recipe, which is an adaptation of the raw chocolate I usually make, is solid at room temperature, and can be wrapped in foil, if you’d like! Melt chocolate using a double boiler on low heat or in the dehydrator. Once melted, stir in other ingredients and mix until a smooth consistency. 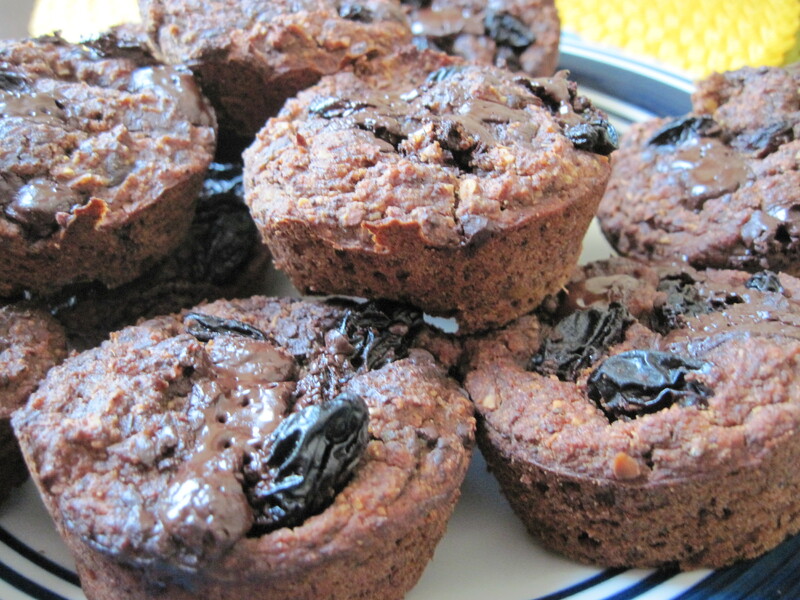 Remove from heat, place in chocolate molds and put in freezer or fridge. 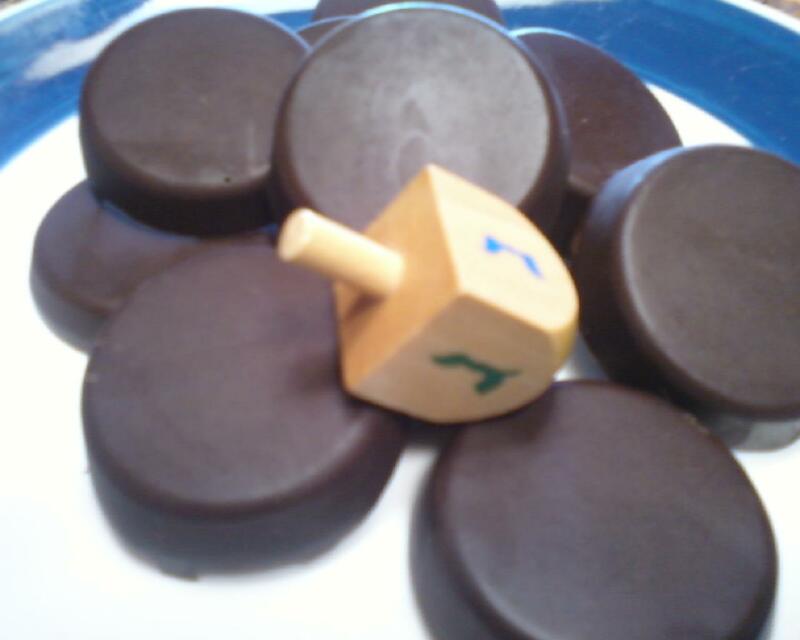 When hardened, enjoy immediately or during a game of cover in foil (optional) and use for a game of Dreidel. Happy (early) Hanukkah! What other festive recipes would you like to see veganized for the holidays?